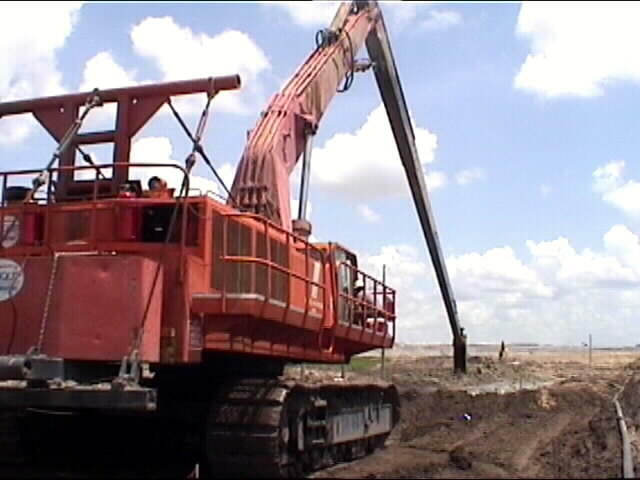 This Kohering excavator is used by Inquip Associates, Inc. to dig a trench of 100 feet in depth around a pond that retains acidic water from a phosphate plant. The trench is then filled with bentonite that hinders water from poluting the environment around the pond. How big is this excavator? The speck on the right side of the bucket is not a person, it is another excavator, of normal size! This is probably the longest reaching excavator in the World. At 84.9 feet in Florida. 15.1 more to go to 100 feet! 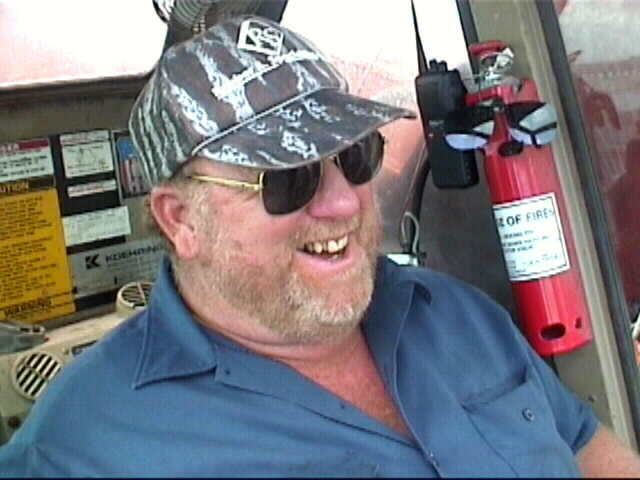 Before the installation of the OC107 Bucket Position Monitor Richie Powell, Inquip's operator, had to wait many times a day while measurements of depth were made by lowering a line down to the bottom of the trench, a very time-consuming job!